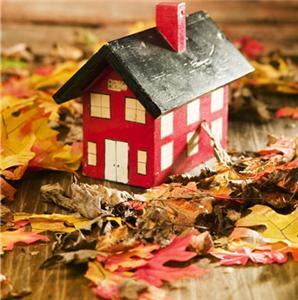 However, a 2010 study by RP Data showed that the best time to sell a residential property is in Autumn. This makes sense for a number of reasons. The weather is great as we are moving from the hot and harsh summer to the milder months of March, April and May. People are more likely to attend home opens if the weather is nice and your garden (if you have one) can look great. Many people make New Year’s resolutions and use the start of the year as a time to act. If they have thought about buying property for a long time but have never done anything about it, the first few months of the year will be when they are most active. Many prospective purchasers are looking for property at this time of year. Australians are known as great football fans. In the early part of Autumn, there is not much football scheduled so people have time to attend home opens. If you do wish to sell your property in Autumn, I have a few suggestions. Sell in March, rather than April or May. In April this year, we have school holidays, Anzac Day and Easter holidays; all distractions for potential property buyers. The days are getting shorter and weather is starting to get colder in May, especially in the southern states. Plant flowers that will flower in Autumn. I know that Autumn is a great time to sow seeds but you want your garden looking spectacular at your open inspections. This may mean you have to buy mature plants, rather than seeds or seedlings. If you are selling property in NSW, Victoria, South Australia, Tasmania or the ACT, beware of having open inspections on the first Sunday in April, the date Daylight Saving Time ends. This change in time often confuses people. Consider having your open inspection on the Saturday. In summary, Autumn is a good time to sell property but if it was me, I would be putting my property on the market early in the season so as to avoid the holidays, the footy season and colder weather. Previous PostShipping Container HomesNext PostHave you made the treechange yet?